FILM REVIEW SITE RottenTomatoes.com has suspended user comments on movie reviews of The Dark Knight Rises after commenters reacted angrily to negative reviews – even threatening the critics who made them. The comments included death threats to reviewers who rated the film poorly, the New Jersey Star-Ledger reports. Matt Atchity, the site’s editor-in-chief, said it was the first time RottenTomatoes.com has suspended user comments, adding postings about Dark Knight reviews would likely be restored by the end of the week. The final film in director Christopher Nolan’s Batman trilogy opens tomorrow. Atchity said the site is considering a move to a Facebook commenting system, which might cut down on the glut of anonymous posts. Other film review aggregating sites, such as MetaCritic.com and MovieReviewIntelligence.com, either don’t allow user comments or don’t permit comments to be posted before a film opens. While The Dark Knight Rises is currently experiencing a glowing 84 percent “fresh” rating on RottenTomatoes.com, the film has been deemed “rotten” by a few critics, including Marshall Fine of Hollywood & Fine, Christy Lemire of The Associated Press and Nick Pinkerton of the Village Voice. Fine lambasted Dark Knight Rises for being “nonsensical,” and Lemire called it a “letdown”. Email “Dark Knight Rises: Film site closes comments after death threats to critics”. 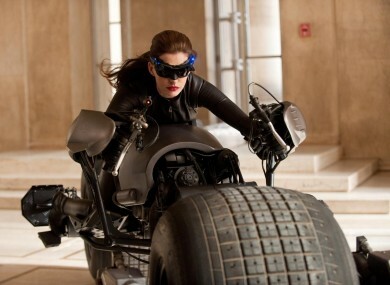 Feedback on “Dark Knight Rises: Film site closes comments after death threats to critics”.